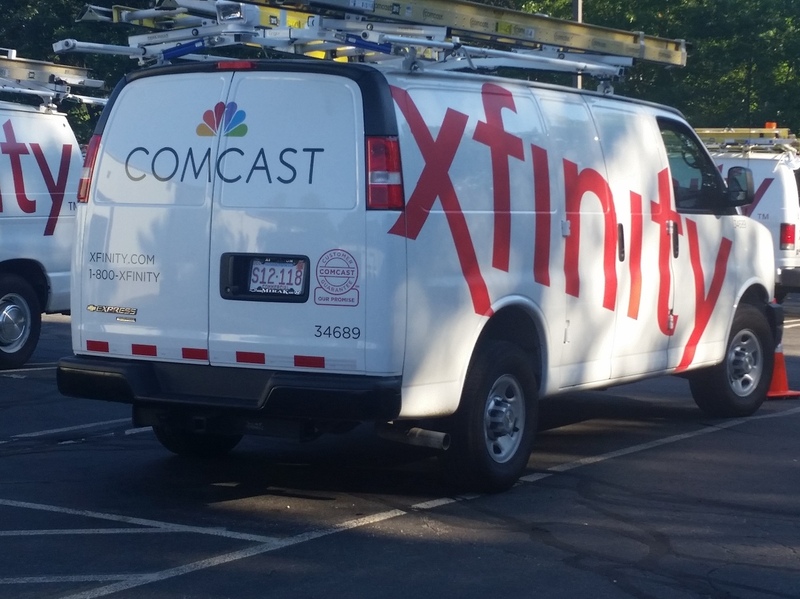 Comcast Fined $2.3 Million For Improperly Charging Customers : The Two-Way Federal regulators say Comcast charged customers for gear and services they didn't order. Officials say the fine is the largest civil penalty assessed against a cable operator. Comcast has been fined $2.3 million by the Federal Communications Commission for charging customers for equipment or services they never ordered. Cable giant Comcast Corp. has been ordered by federal regulators to pay $2.3 million for wrongfully charging customers for gear and services they never requested. Officials say it is the largest civil penalty imposed on a cable operator. On Tuesday, the Federal Communications Commission ordered Comcast to pay the fine after investigating complaints that some customers were charged for equipment such as set-top boxes, and services such as premium channels even after they had specifically rejected offers from Comcast representatives. That practice, known as "negative option billing," is illegal under federal law. The fine was announced in a statement issued by the chief of the Enforcement Bureau at the FCC, Travis LeBlanc. "It is basic that a cable bill should include charges only for services and equipment ordered by the customer—nothing more and nothing less. We expect all cable and phone companies to take responsibility for the accuracy of their bills and to ensure their customers have authorized any charges," said LeBlanc. The company agreed to make it easier for customers to know what equipment or services are on their account and to simplify the process for disputing charges. Comcast acknowledged that "in the past, our customer service should have been better and our bills clearer, and that customers have at times been unnecessarily frustrated or confused." But in a statement, the company defended itself saying that the FCC "found no problematic policy or intentional wrongdoing, but just isolated errors or customer confusion."